Iain Corby: Oh crumbs, we won! 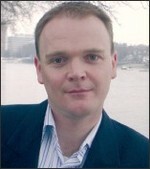 Iain Corby is a management consultant who read PPE at Balliol and has an MBA from UCLA. He was Chief of Staff for the James Review and is contributing to the Public Sector Efficiency component of the Party’s policy review. It’s a bit like saying “Macbeth” in the dressing room at the Palladium; no-one at CCHQ talks about winning the next election for fear of cursing our chances. But, as the running poll on this site proves, we are finally in with a fighting chance and it would be imprudent not to plan for success. So the $64,000 question is – are we ready? Do we have a plan? Do we have the skills, knowledge and competence to hit the ground running? The history book warns of the outcome if we are not. Blair stumbled through his first term and wishes he’d been more radical. Thatcher’s re-election is widely assumed to have been reliant on the Falklands’ war. John Redwood organised a seminar before the 2005 election for the shadow frontbench team. Their “training” for assuming office amounted to a presentation from a young high-flying civil servant who’d recently left the Treasury and a role play between Howard Flight and the James Review team imitating how Permanent Secretaries might react to the efficiency measures that the report suggested. It was a good start, and probably limited in its ambition given the generally accepted assumption that we weren’t going to win, but next time we need to do much, much better. The electorate has increasingly limited patience, and we’re unlikely to find part of the Empire invaded shortly before the election after next to secure us a second term.